Being diagnosed with diabetes is tough. Fortunately, learning you have this disease opens the door to living a happier, healthier life by managing your condition. For millions of Americans, diagnosis is the first step to regaining control of life. Get started on your path of improved health with diabetes. Living with diabetes isn’t easy, but isn’t impossible. If you you or a loved one has been diagnosed, it’s time to work together through education, treatment, and lifestyle changes to avoid complications. With effort, you can learn to live with diabetes. We have collected the best available resources to assist you and your family in this adjustment. In time, your whole family will be healthier. “Diabetes and You” is here to point you in the right direction by providing needed tools to manage all aspects of your diabetes. 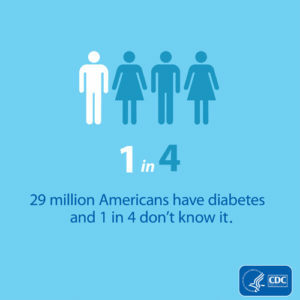 Find out more about symptoms, causes, and treatment for diabetes through videos, podcasts, and industry publications.